The Jarrett Bay 46 Grander delivers the ultimate in one angler’s desires. 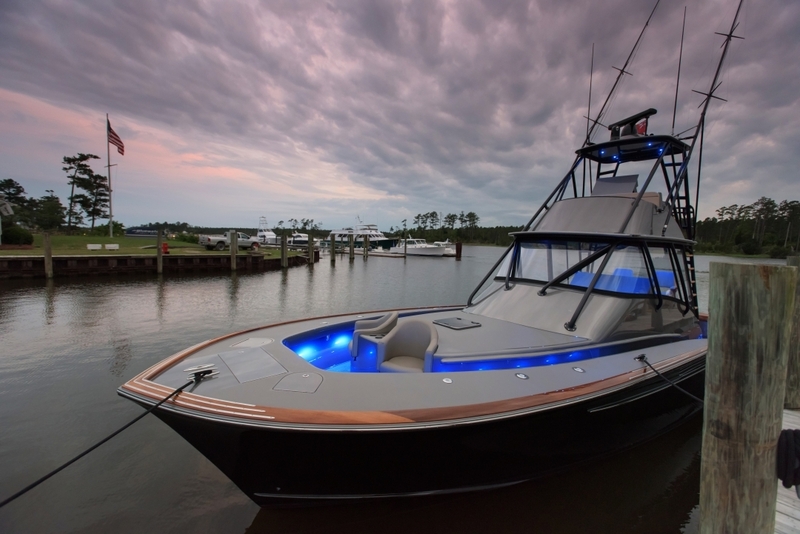 The Jarrett Bay 46 Grander is a custom-created boat unlike any other, from bow to stern. Once you get into a certain size and price range all boats are, to one degree or another, custom creations – as exemplified by boats like the HCB 65 Estrella – whether they have molded fiberglass hulls and decks or not. But some people would draw a distinction between those which are built from molds and those which are built with other construction techniques. Because when you get right down to the bottom line, the hull and deck of a molded boat are what they are. You can’t take a convertible fishing boat and make a major modification like adding a deep walkaround side-deck and a bow cockpit. And this is why there’s a vibrant market for 100-percent custom-built boats which are designed from the ground-up to be one person’s idea of the perfect sportfishing machine. Case in point: the Jarrett Bay 46 Grander. This is hull number 61 for Jarrett Bay, and boat’s basic design combines the essentials of an express boat with a bit of center console, a dash of bowrider, and a touch of convertible. 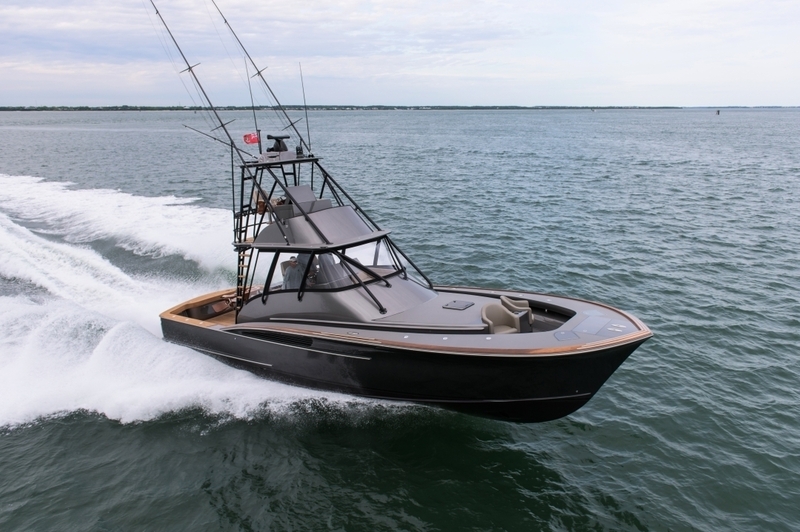 Start off with the express-boat DNA, including a slightly raised helm-deck just forward of the cockpit that’s capped off with aft-facing seating, tackle drawers, drink coolers, and bait freezers. Forward of the helm-deck, naturally, there’s a cabin. 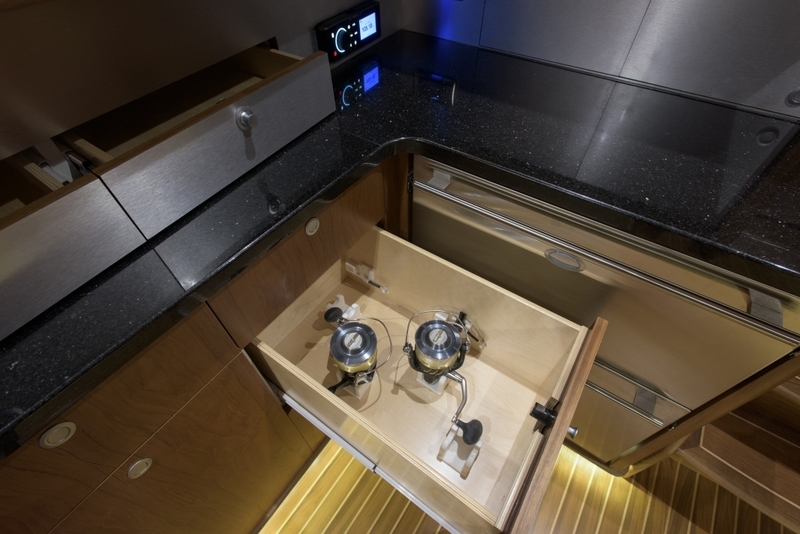 But unlike most express boats there’s also 360-degree fishability all the way around the boat thanks to a deep recessed walkaround side-deck, running down both port and starboard sides – much like the side-decks found on many of the modern center console yachts. 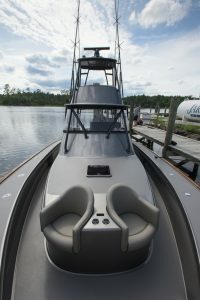 Also like a center console, there’s a bow cockpit with enough space for a couple of anglers to cast, ringed with flush-mounted rodholders and flanked by livewells on either side of the anchor locker. Thanks to the addition of a couple of lounger seats built into the front of the cabin, you also get that dash of bowrider. 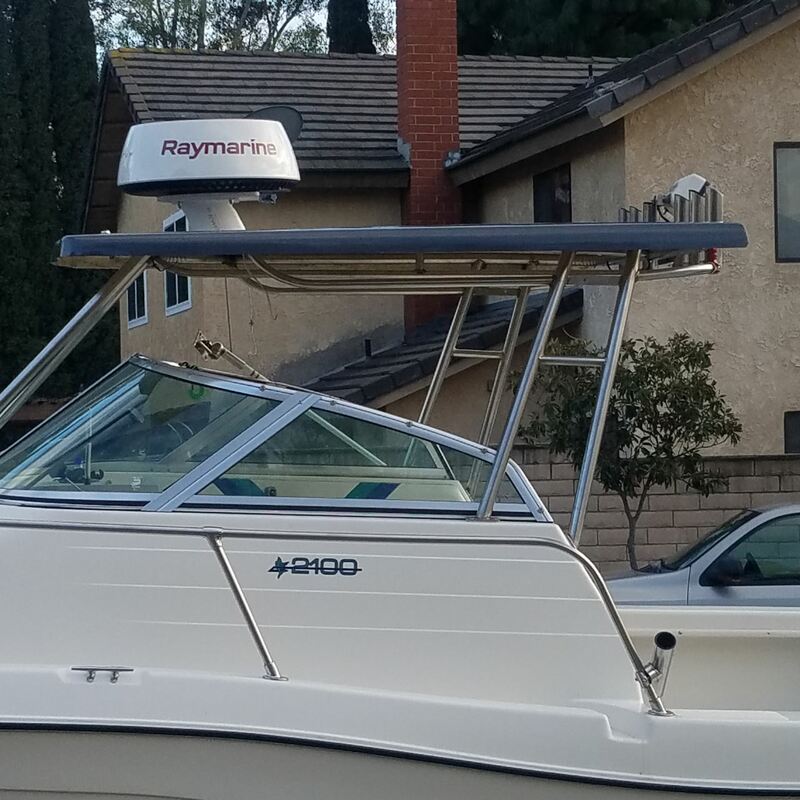 Next, an element of convertible comes into play by expanding what’s above the hard top beyond a mere upper station and into a mini flybridge, with a full brow and an aft-facing passenger’s seat that can be used for elevated bait-watching while you’re trolling. The view from above is nice at the dock, but you know it’ll be that much better when you’re peering down on ballyhoo and teasers. Is there a cost to pay, for mixing and matching all these different design features? Of course, there is. 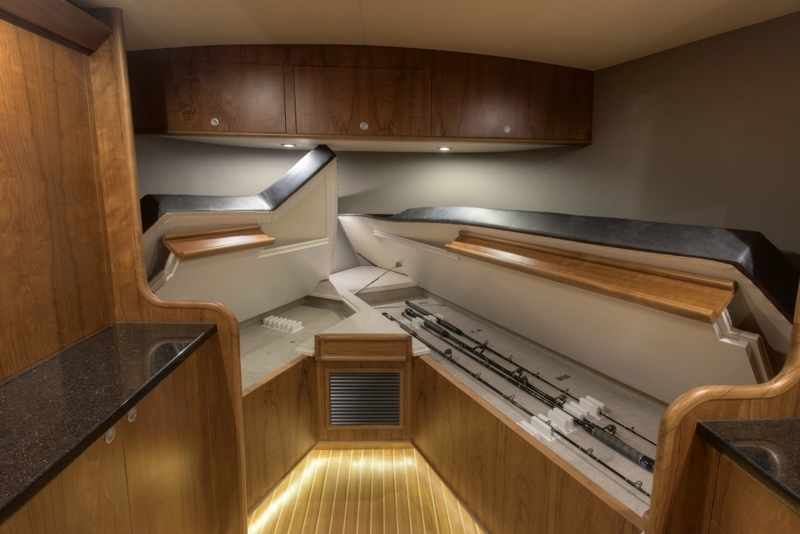 The cabin interior gets shrunk by including the sidedecks, the bow cockpit gives up a hair of fishing space by incorporating the lounges, and adding that mini-flybridge increases bridge clearance enough to defeat the low-air-draft advantage that pushes many people (with slips that have bridge issues) to choose an express in the first place. As a result, a boat like this can’t effectively be production-built and marketed to the masses in incredibly large numbers – it must be a custom creation. Water capacity – 100 gal. How does Jarrett Bay do it? 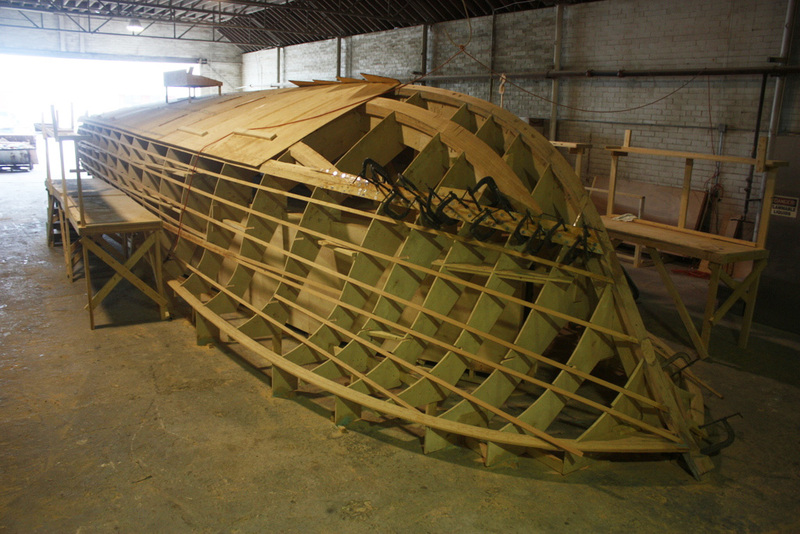 The boats are cold-molded, with three layers of fir ply in the hull and three layers of Okoume ply topsides. 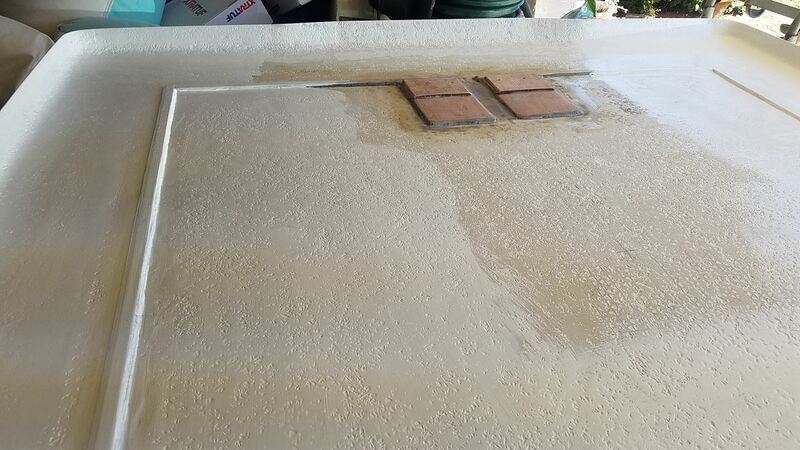 Planking gets laid in with epoxy and every inch of the boat gets sheathed in fiberglass and then epoxied over, before being finished, and… Wait a sec! 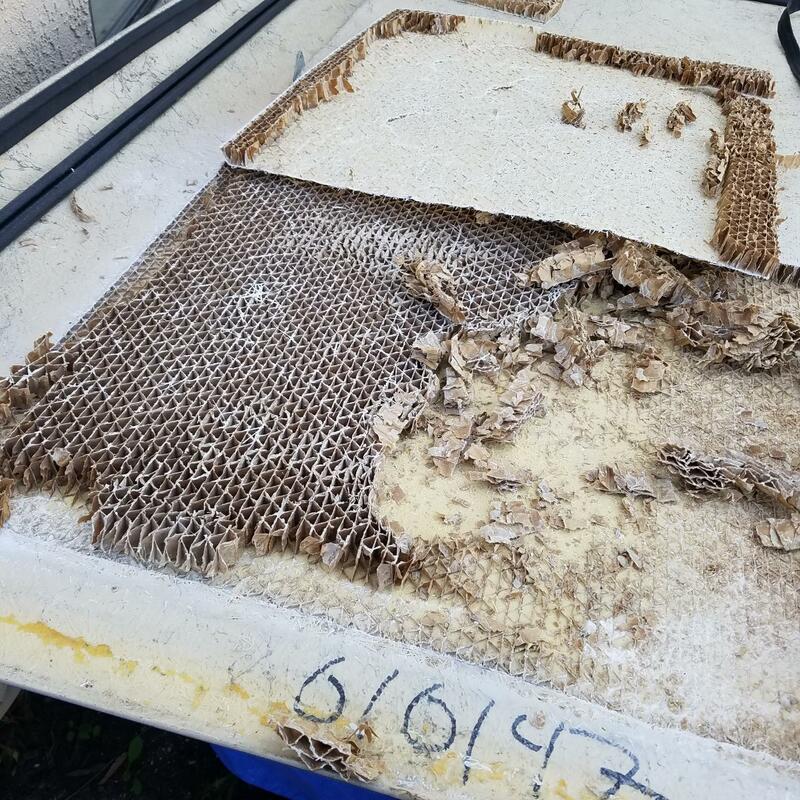 Haven’t we all been told time and again that wood core is a bad thing? Won’t the whole boat turn into rotted mush? Balderdash. 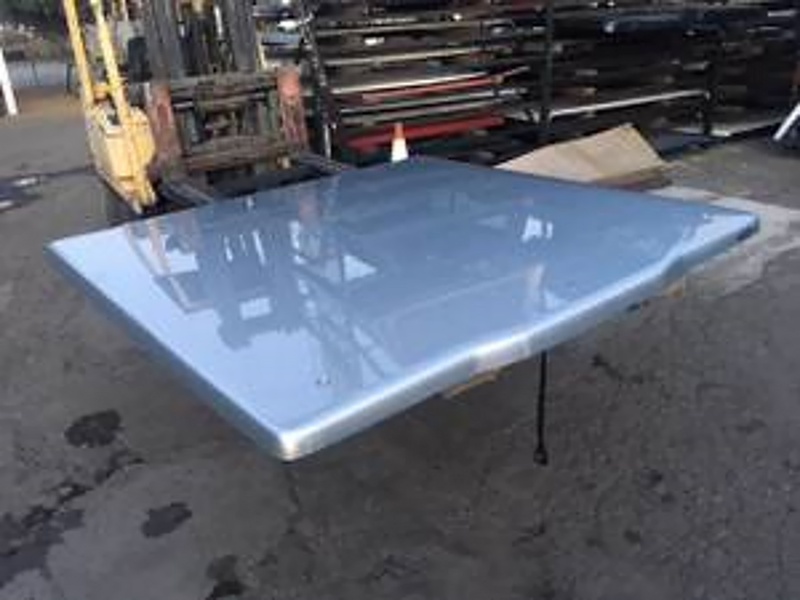 In truth, a properly-built and sealed cold-molded boat has a number of huge advantages over molded glass boats. 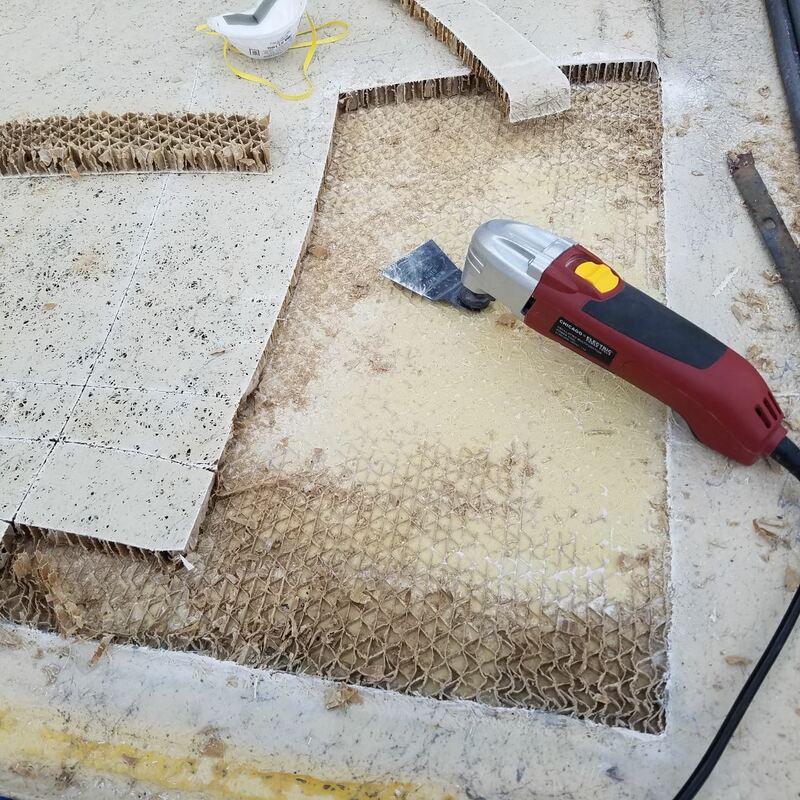 Custom cold-molds can be superior to molded fiberglass boats in a number of ways, and no, all that wood isn’t a bad thing – despite what many people say. They are generally lighter, stronger, have better screw retention, and last every bit as long as a molded glass boat. There’s also a difficult to describe seakeeping boost they get due to being constructed from materials that want to float. 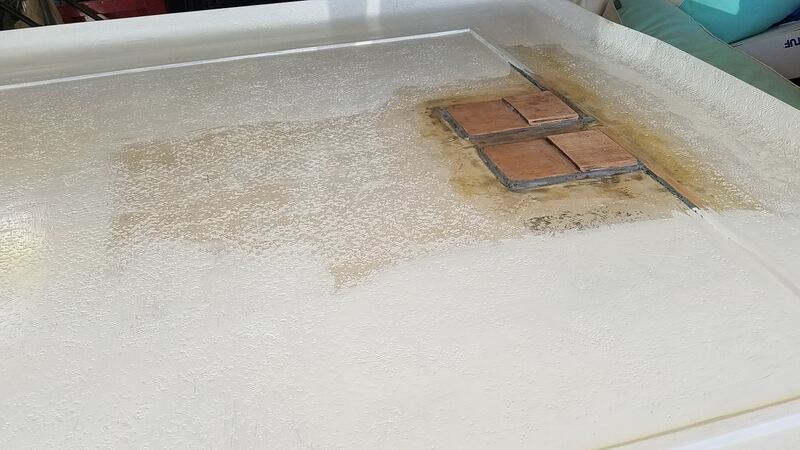 Unlike wood, a chunk of regular laminated fiberglass will sink like a rock. And while it can’t be quantified, we know dang well that those of you who have spent extended periods of time on the water with a cold-molded boat underfoot are nodding in agreement, right now, as you read this. You can just feel the boat’s desire to float, as it’s running. Speaking of running: powered by a pair of Caterpillar C-18s, cruising speed at 1800 rpm is approximately 30 knots. Let the iron horses roar, and the boat can hit a top-end of over 40 knots. That’s not too shabby, by any measure. Oh yes, she does come with all the trimmings. Naturally, since this is a custom boat you can choose whatever sort of bling level you desire when having one built. One other added benefit you’ll find in any Jarrett Bay, certainly including in the 46 Grander, is exquisite woodwork belowdecks. 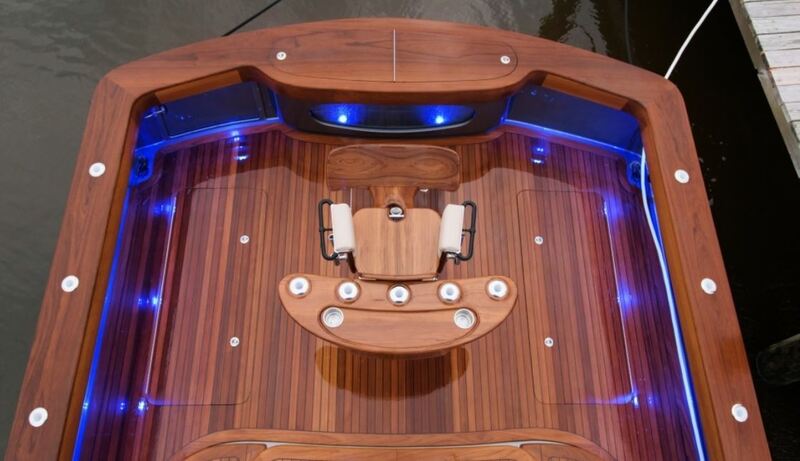 This is the case with many of the custom boats built in North Carolina, which is rather famous – deservedly so – for being home to an unbeatable class of professional wood-workers and cabinet-makers. 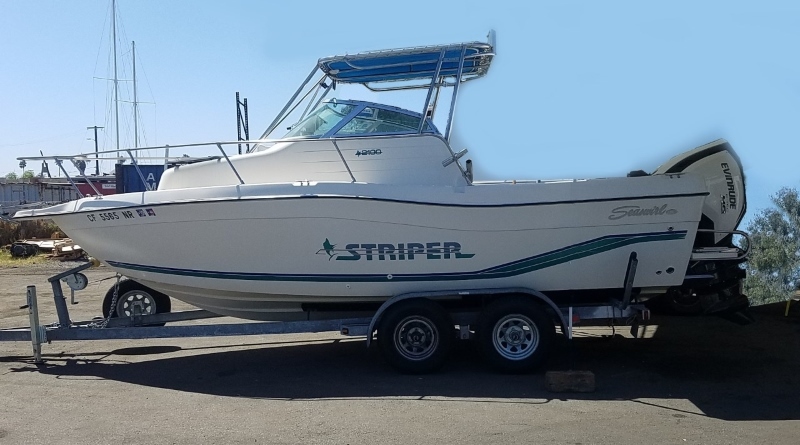 Added bonus: since the owner plays a role in designing a boat like this from the start, you can plan in that tackle stowage you’ve always wanted. 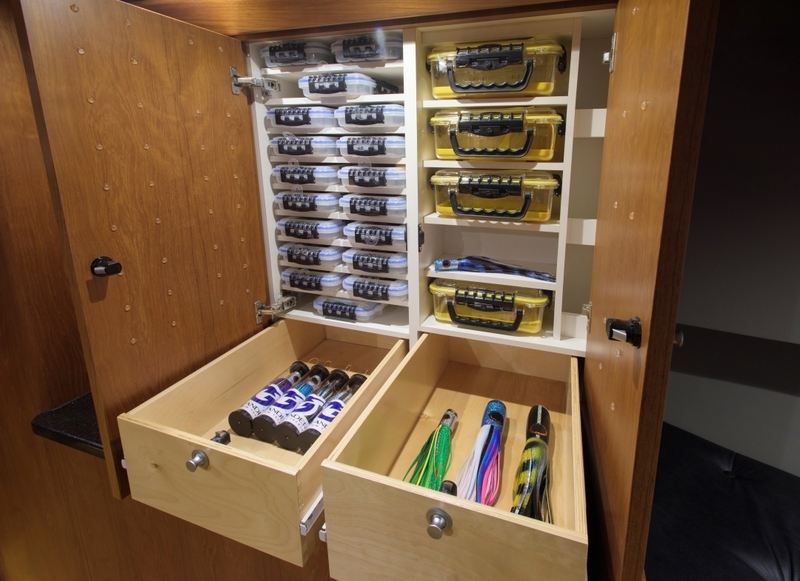 …when’s the last time you saw a galley drawer turned into a reel compartment? Okay, now we’re really getting excited, people. Of course, custom boats aren’t for everyone. Being involved in the design will eat into your schedule. Build-times are generally quite long, and you may miss a season or even two as the boat’s under construction. 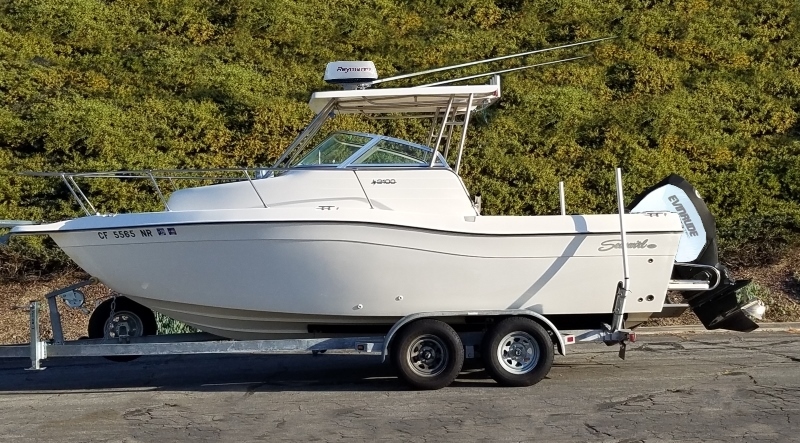 But if you want a sportfishing boat that’s your own personal one-of-a-kind dream sportfishing machine, let there be no question: you need to start thinking about a custom boat, like the Jarrett Bay 46 Grander. For more information, visit Jarrett Bay Boatworks.